With so many different internet providers offering varied broadband packages, choosing the plan that will provide you the best value for money can be a daunting task. Knowing the different types of broadband options and your usage pattern before you buy your home broadband will help you get the best broadband deals. 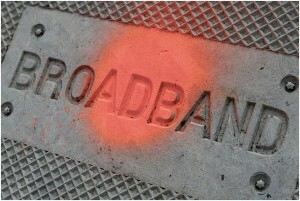 The different types of broadband connection are Asymmetric Digital Subscriber Line (ADSL), cable and fibre optic. Not all broadband deals are available in all areas. If you live in relatively built-up urban area such as the city centres, you’ll probably have the full range of options available. However, if you live in the remote or rural areas, you might be limited to ASDL although fibre optic is becoming increasingly available. ASDL broadband is delivered through telephone cables, it’s less expensive than cable broadband, however the connection speed is slower. The speed is also affected by the distance between your home and the telephone exchange. Cable broadband do not require a telephone line. It’s faster and more reliable but is considerably more expensive than ASDL. 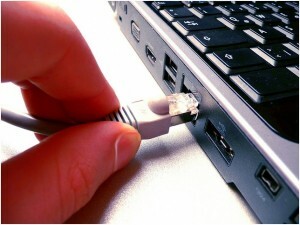 Some internet service providers bundle cable broadband and TV, phone and mobile. The bundle is usually cheaper than paying for these services separately. Fibre optic broadband offers significantly faster download speed than ASDL. However, fibre is not available in all areas, especially the rural areas. Many home users end up paying for more than they need. Knowing your usage requirements will help you find the best broadband package that suits your needs. The price of a broadband package varies according to the speed and download limit. Not everyone needs the fastest and most expensive package. The fastest broadband package may not be the best option if you’re a light user who use the internet for a few hours a day and use your broadband to read and send emails, download smaller files or search for information online. However, if you’re a heavy user who download large files, play online games or use your broadband to stream TV series and watch films, you’ll need a faster broadband speed. If your family has a few devices online at the same time, you might want a faster speed. You shouldn’t choose a broadband package that doesn’t meet your needs. An unlimited broadband package is not necessary if you’re a light user. If you buy a limited broadband package and go over your monthly usage allowance, you may have to pay for additional usage charges. However, most internet providers do not allow you to carry forward any unused allowance to the next month.